Here’s where you can find some of my work. 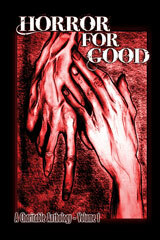 A shared world anthology edited by Bram Stoker Award winner Benjamin Kane Ethridge and Brad C. Hodson. Hodson and Ethridge also wrote chapter fiction to bridge the stories, the end result being that each short story stands alone but, if the book is read cover to cover, it reads like a novel. In the middle ages, it was thought that insanity was contagious. Centuries on, we label such ideas as superstitious ignorance. But when John Doe begins to speak after decades of silence, the staff and patients at the Golden Canyon Behavioral Health center begin to realize that behind every superstition lies a horrid truth. On the night that a vicious sandstorm closes the roads and seals the doors, a plague of madness spreads through the hospital. Two staff members try desperately to hold onto their sanity while searching for the cause – and, hopefully, the cure – of the outbreak. But they’re not alone. 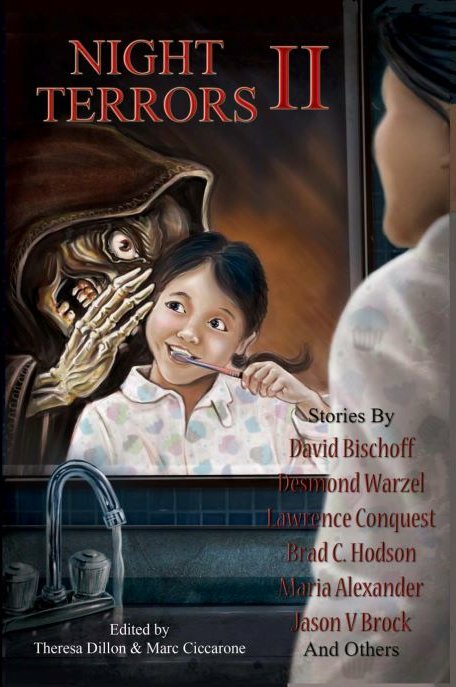 In this shared world anthology edited by Brad C. Hodson and Bram Stoker Award winner Benjamin Kane Ethridge, some of the genre’s most talented authors present their own sanity shattering tales. 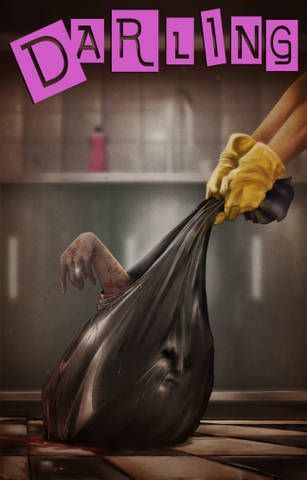 With fiction by John Skipp, Jeff Strand, Scott Nicholson, Lisa Morton, John Palisano, and many others, the horrible truth is revealed bit by awful bit. Step inside and find out what it’s truly like in the MADHOUSE. Check out DARLING’s page on this site for more reviews, a free preview, the trailer, and other assorted goodness. From the darkness of the abyss to the subtle shift of shadows dwell creatures that prey on us all. Be they straight-up monsters or nightmares behind a human mask, they track us and they kill us. Sometimes, they play with their food, where death would be a kindness. But there is hope. There are those who search out the monsters, those who hunt the hunters. Featuring 13 stories of military horror by some of the best known and emerging writers in the genre, including James A. Moore, Patrick Freivald, and more. 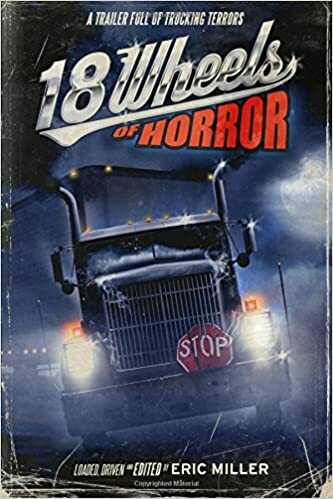 Psychotic killers, devious ghosts, alien monsters, howling storms, undead creatures, and other dark forces haunt the highways and the truckers who drive them in these 18 chilling tales! Hit the road with this anthology of trucking horror fiction! 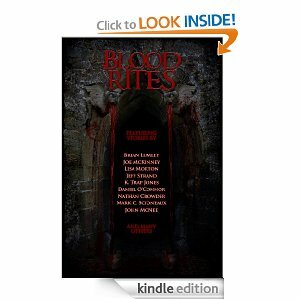 Contains the Bram Stoker Award winning story “Happy Joe’s Rest Stop” by John Palisano. Available HERE and on audiobook. 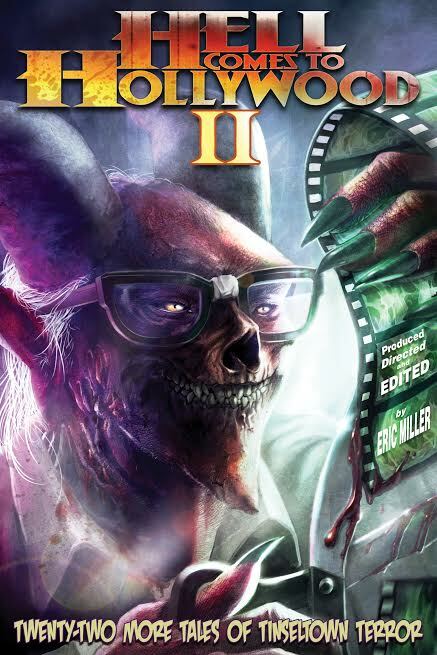 This sequel to the Bram Stoker Award nominated “Hell Comes To Hollywood” brings you Twenty Two More Tales of Tinseltown Terror. With fiction by Richard Christian Matheson, Lisa Morton, Del Howison, John Palisano, Lin Shaye, and more. Grab your copy HERE. Also available as an audiobook. NINE FANTASTIC NEW TALES! Featuring: Brad Ellison, Garrett Ashley, Patricia Russo, Nathan Wyckoff, Jacob A. Boyd, Brad C. Hodson, Sonia Orin Lyris, Schuyler Hernstrom, and Jayce K. Wagner. 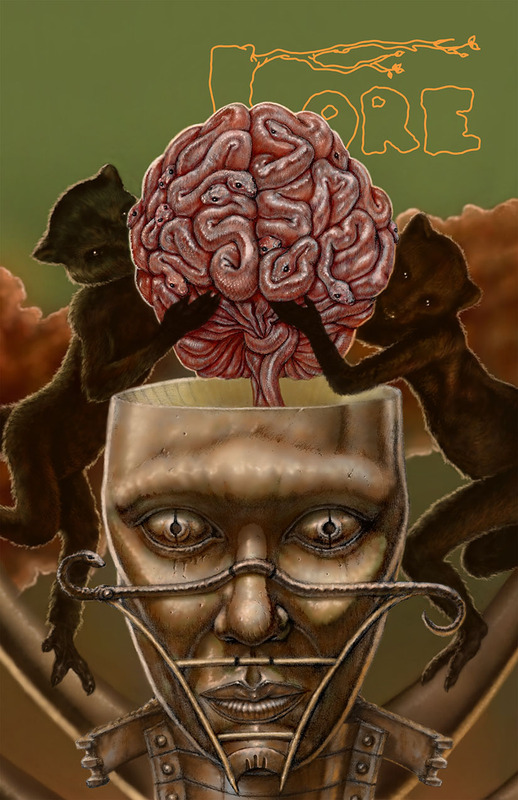 Cover artwork by Christopher Allen. Check out www.lore-online.com or buy it directly here. A regular stream of very, very short horror fiction. My story “Almost” is a part of the roster. With “In the Halls and on the Stairs,” a story about childhood fears and betrayal. Featuring fiction by Peter Giglio, Lisa Mannetti, Lisa Morton, Ray Garton, Benjamin Kane Ethridge, and many more. Does our spirit remain on Earth while the mortal body rots? Do remnants of our soul transcend to a celestial Heaven or sink to Hell’s torment? Are we offered choices in an individualized afterlife? Can we die again in the hereafter? Is life merely a cosmic joke, or is it an experiment for something greater? 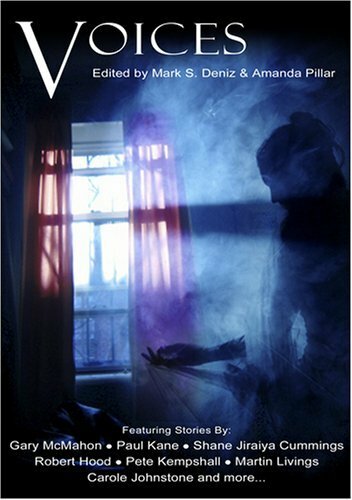 With short fiction by Steve Rasnic Tem, Lisa Morton, John Palisano, Bentley Little, Benjamin Kane Ethridge, Joe McKinney, and many more. Ebook and paperback both available. Featuring “The Philosopher’s Grove,” my story of Aristotle, Xenophon, and a grisly act performed at the famous Academy one winter’s evening. Twenty-three authors. One exclusive anthology. Authors include: Brian Lumley, Joe McKinney, Nathan Crowder, Lisa Morton, Daniel O’Connor, Jeff Strand, John McNee, K. Trap Jones, Maria Alexander, Ed Kurtz, Desmond Warzel, Mark C. Scioneaux, Brad C. Hodson, Gregory L. Norris, Monique Bos, Aric Sundquist, Christopher Hawkins, Chad McKee, Adrian Ludens, Bryan Oftedahl, Angela Bodine, Matt Moore, Douglas J. Lane. 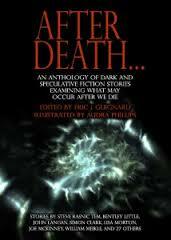 A flash fiction anthology from Dark Moon Books. 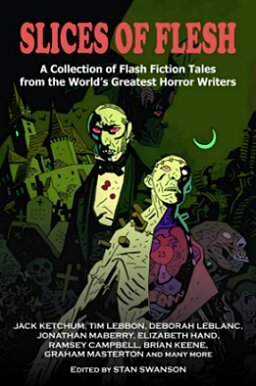 SLICES OF FLESH features stories by Ramsey Campbell, Jack Ketchum, William F. Nolan, and a slew of other amazing authors. With cover art by HELLBOY creator Mike Mignola, the net proceeds from SLICES OF FLESH will go to aid the Stephen and Tabitha King Foundation, Project Literacy, and others. Also check out the audio version on Episode 18 of the “Tales to Terrify” podcast (also available on iTunes). 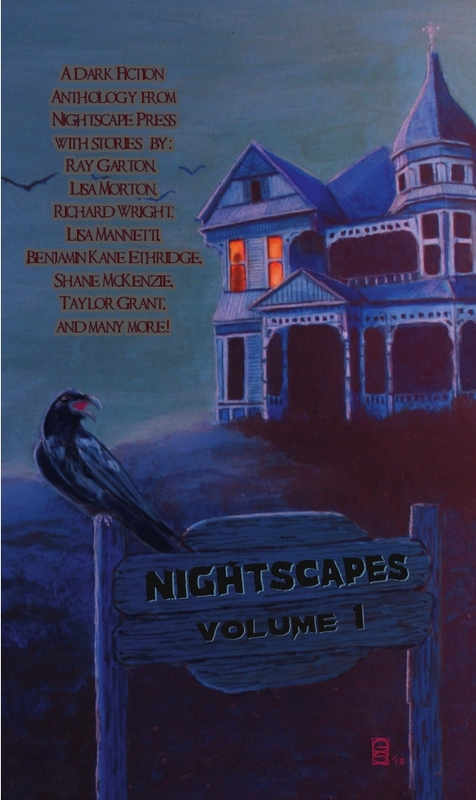 The anthology includes stories by Joe R. Lansdale, Lisa Morton, Ray Garton, Ramsey Campbell, Jack Ketchum, F. Paul Wilson, and a host of others. Grab your physical or electronic copy here. With my story “Two For Transylvania,” a comedic prequel that re-imagines DRACULA as a massive real estate con. 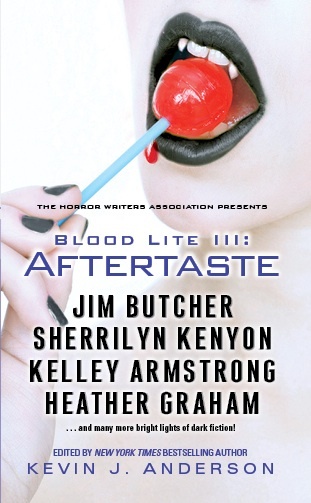 The third installment in the bestselling series from Pocket Books and the Horror Writers Association, BLOOD LITE 3 continues the tradition of bringing the best of horror-comedy (emphasis on comedy) to print with authors like Jim Butcher, Sherrilyn Kenyon, Kelley Armstrong, and Heather Graham. 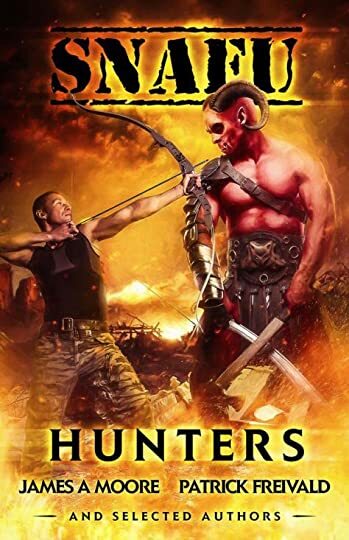 Edited by New York Times bestselling author Kevin J. Anderson (the DUNE series). Available at your local bookstore or order online. 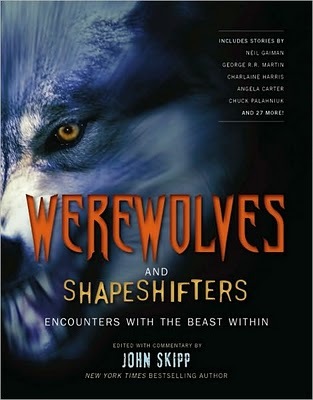 Edited by the whirlwind that is John Skipp, WEREWOLVES includes fiction by Neil Gaiman, Chuck Palahniuk, George RR Martin, Joe R. Lansdale, Charlaine Harris, HP Lovecraft, and many, many more. Available at your local bookstore or online. Including “At Winter’s End,” a story about loss and growing old. From the back cover: Just when you thought it was safe to crawl back into bed . . . we’ve got a new set or terrors! If Night Terrors made you pray for dawn, Volume II will send you into total madness. Step inside the secret chambers of the Vatican and experience the dark side of the papal elections. Meet people only a mother could love; listen to the dead speak, and even more disturbing, hear them cry. Discover the darkness that lives inside the hearts of man, and hide from other worldly tormentors . . . and, if you manage to wake up after these night terrors . . . you’ll wake up dead! The award-winning cult comedy that’s been called “The best horror comedy since SHAUN OF THE DEAD.” It’s right there on the DVD cover if you don’t believe me. 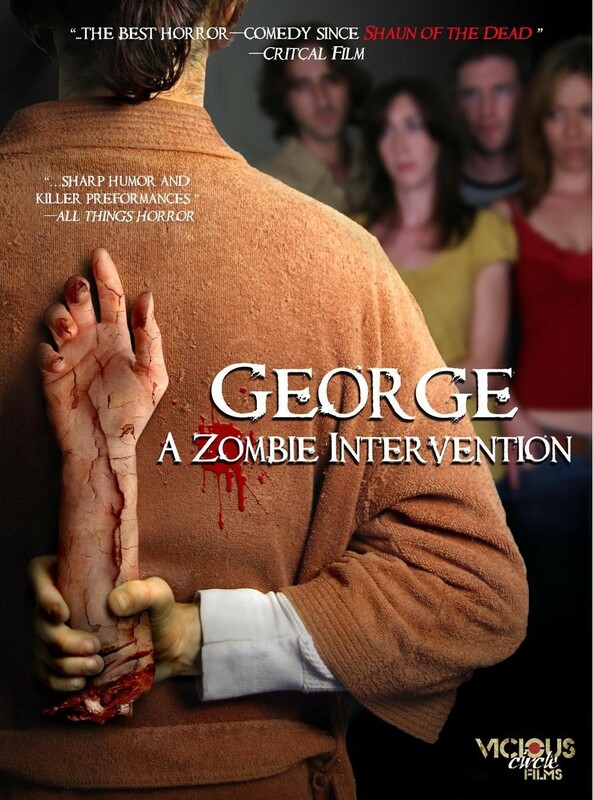 Starring Lynn Lowry (CAT PEOPLE, THE CRAZIES), Peter Stickles (SHORTBUS, THE LAIR), and Michelle Tomlinson (BRAINDEAD, THE CELLAR DOOR), GEORGE was co-written with director JT Seaton. Available on Amazon and to buy or rent on iTunes. In every room, there is a story. In this hotel, the stories run to the wicked and macabre. Well crafted psychological and supernatural horror offerings await you, each written by a master storyteller. Whether you are looking to be shocked, disturbed or out-right frightened, Voices will have something to titillate your nerves and make your hair stand on end. Leave the lights on and brew a strong cup of tea, the voices in this room plan on keeping you up all night. 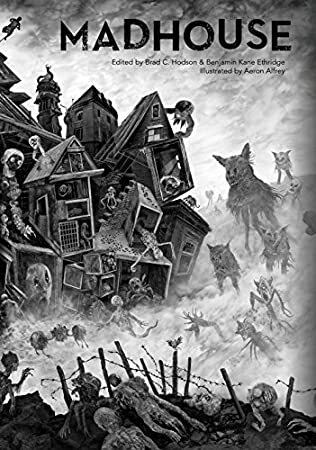 An anthology of horror and dark fantasy stories and poetry, illustrated with antique illustration from the Osborne Collection of Early Children Books. 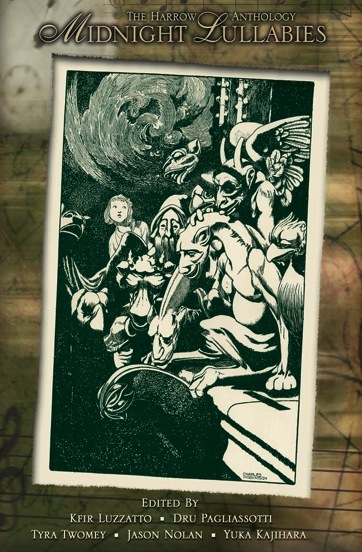 “In the Halls of Elsinore” is based on a bit of speech that Hamlet utters in Shakespeare’s most famous play: “The spirit that I have seen/ May be the devil: and the devil hath power/ To assume a pleasing shape; yea, and perhaps/Out of my weakness and my melancholy,/As he is very potent with such spirits,/Abuses me to damn me.” In my story, Horatio is left after the events of the play to learn the truth behind the ghost that haunted his friend. As an added bonus, a few teachers have contacted me about using this story to help teach their students HAMLET. So you can feel better reading it at work because it’s, like, academic and stuff. “405” was my first fiction sale and is a bizarre, funny, and no-holds-barred look at what happens when the psychic accumulation of years of road rage explodes on one of the worst stretches of freeway in Los Angeles. The modern motorcar (and the industry that surrounds it) is nothing but a cancer on the face of the Earth. Mark Zirbel, Christina Kinnan, Paul Murray Collrin, Jenny Ashford, Liam Davies, Courtney Burback, Mark Robyn, M.P. Johnson, Tyler Runde, J. M. Heluk, Kelly Stevens, Ken C Goldman, Ray Wallace, Gerard Brennan, Brad C. Hodson, M. Jones, Suzanne Burns, Jeff Drake, Cameron Pierce, Sean Rickards, David Mitchell Turnbull, Kek-W and Alex Severin bring us twenty-three tales of the revolting lives and ugly deaths of these beasts of the road. Long may they remain dead.